Through the years, I have learned how important these words of Jesus’s are…I have found that if I want to see God move in my neighborhood I have had to be faithful in praying for my neighbors regularly. Through this regularity of prayer, God has made Himself evident through my neighbors’ lives in surprising ways. I have found that prayer walking works best for me, because it helps me focus when I pray. Prayer walking has also allowed me to connect with people in my own neighborhood like nothing else has. When I am walking, I cross the path of neighbors who are walking their dogs, those who are taking their children on walks, and other adults on walks. It has opened the door to so many opportunities. It took me years to learn the significance of prayer for my neighbors. This became so obvious to me when I watched what God did in Domingo’s neighborhood many years ago. It all started when Nadine and others began to pray for his neighborhood. Let’s see what God did. Neighborhood Initiative began in 2008 when we adopted eight square blocks around our church’s facility. We called it Mission: Reseda, back then. Today it has moved from the safety net of church ministry to personally adopting neighborhoods where we live. Domingo Cabral lived in one of those eight blocks. There was a team of people praying specifically for his neighborhood. On the very evening we first started Mission: Reseda, a representative from the Los Angeles Neighborhood Housing Services walked into our church and asked our senior pastor, Bill Dwyer, and me if we would be interested in participating with others in the community to paint five homes. The timing was remarkable, but the location of the five homes was even more so. These homes were right in the neighborhoods that we were adopting. Approximately one hundred people from our church and two hundred from other service-oriented groups participated on that sunny day and the Lord used that activity to open the hearts of neighbors in the community. Domingo lived in one of those five homes. He came to the Lord while in prison and he was looking for a church that did what Jesus did. He was taken aback by those from our church who showed him this kind of love, but he kept his distance to see if we were genuine. We told him we would help him trim his trees in the backyard and when we followed through he began to realize that we were serious about being a presence in his community. What also captured his attention was when he saw a young woman walking through his neighborhood with her children on several occasions. He wasn’t sure what she was up to. Nadine Erickson, a woman from our church, made a practice of praying through Domingo’s neighborhood. She would take her four children on stroller rides through the streets and pray for the neighbors. From those early days of prayer God has moved significantly in Domingo’s neighborhood. Domingo has since become very involved with our church and very committed to serving those in his neighborhood. He has painted the side of one of his neighbor’s houses, helped build a driveway gate for another neighbor, helped put in a new sidewalk for another, and has done many other things for his neighbors, because of the love shown toward him. More importantly, he has developed meaningful relationships with many of his neighbors and has been there for them when they needed someone. Domingo and I have become best friends and I was privileged to help him with a Bible study for his neighbors at his local Starbucks. One of the neighbors in that small Bible Study now attends our Sunday gatherings, because of his young daughter. We’ll call her Marissa. She was probably only four years old at the time. There was something very special about Marissa and her unique love for the Lord. I am sure she was attracted by the love displayed by Domingo and this small group from our church that came into her neighborhood. Marissa was so touched by this love that she wanted to be a part of our church family. There was only one way for her to join us on Sunday mornings and that was for dad to take her. He would tell me on different occasions, I am here because of Marissa. Fast forward ten years, dad is still attending our services and Marissa, now fourteen, has participated in Christmas plays, Vacation Bible School, and is very active with our youth group. Whenever I see her, I receive a big hug…no words are needed. I am deeply touched by her humble spirit. Marissa’s story is one of many in Domingo’s neighborhood. It all started with a group praying and a mother walking her four young children in a stroller and praying for those in Domingo’s neighborhood and then God showed up. Nadine knew that nothing happens without prayer…asking the Lord of the harvest to send out laborers into the harvest field. Do you think Nadine would have imagined all that would have taken place in Domingo’s neighborhood by simply taking her children on stroller rides and praying for those in his neighborhood? Her prayers, along with others, served to awaken believers to join together to participate in a remarkable work of God in Domingo’s neighborhood. I will never forget around 100 people, young and old, caroling in his neighborhood. I remember saying to my wife Jo, “That was one of the highlights of my Christian experience.” So many people were touched in his neighborhood that evening. It all started with prayer. Have you considered walking and praying for your neighbors as Nadine did and seeing what the Lord will do? 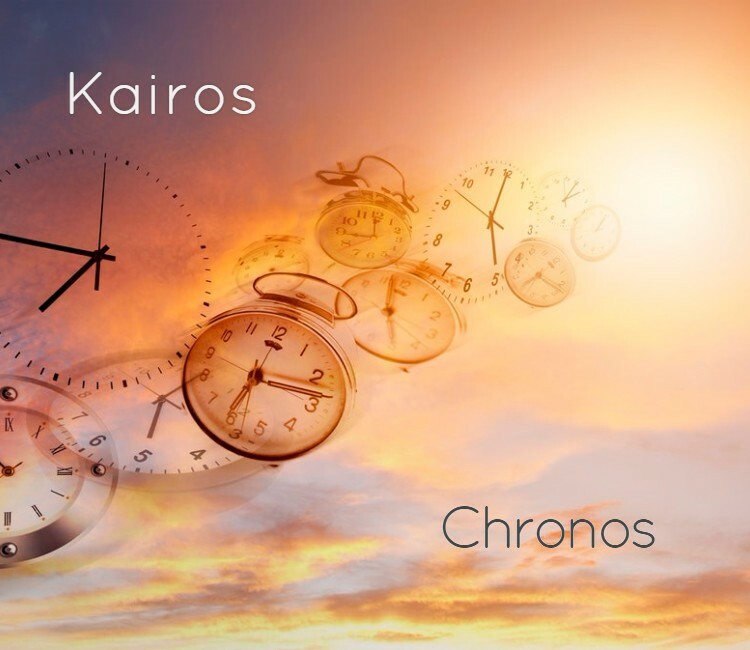 I would encourage you to make it a part of your rhythm of life and watch and see how the Lord shows up in supernatural ways…this is The Kairos Adventure.